The Infection and Treatment Method (ITM) of vaccination against the apicomplexan parasite Theileria parva has been used since the early 1970s and is still the only commercially available vaccine to combat the fatal bovine disease, East Coast fever (ECF). The disease is tick-transmitted and results in annual economic losses of at least $300 million per year. While this vaccine technology has been available for over 40 years, few attempts have been made to standardize the production process and characterize the vaccine. 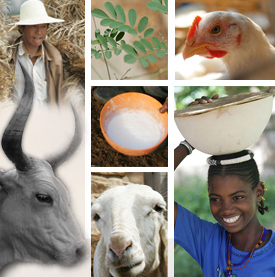 The latest batch was produced in early 2008 at the International Livestock Research Institute (ILRI). The vaccine production involves the use of cattle free from parasites routinely monitored throughout the production process, and a pathogen-free tick colony. This paper describes the protocol used in the recent production, and the process improvements, including improved quality control tools, that had not been employed in previous ITM productions. The paper also describes the processes involved in determining the appropriate field dose, which involved a three-step in vivo study with various dilutions of the vaccine stabilate. The vaccine was shown to be safe and viable after production, and a suitable field dose was identified as 1 ml of a 1:100 dilution.